Patients can request a visit 24/7 to connect with a medical provider to receive diagnosis and treatment. 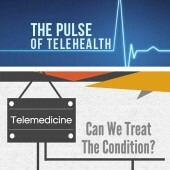 But what ailments are appropriate for telemedicine? Why Do You Lose Your Appetite When You’re Sick? Loss of appetite is a well-documented symptom of a number of illnesses and could leave you eating less while you are sick for a couple of reasons. Can You Still Work Out When You Are Sick? You may be able to safely burn some calories while you fight off your symptoms as long as you stick to the right workouts and avoid overexerting yourself. It starts off like the common cold, but unlike other viral illnesses, D68 is causing widespread hospitalization of children. Get more familiar with this rapidly spreading illness. Is Your Office Environment Harming Your Health? This job is killing me! Ever said this after a long workday? Turns out the statement might not be far off. Office life can have many ill effects on your health. 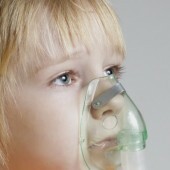 Every year kids go back to school and almost immediately need to take sick days after catching a cold or stomach flu. Keep your little one healthy with these tactics.